Lip cancer is six times more common in men than in women, so it is important to keep your lips hydrated with a proper lip balm. Using lip balm should be as much a part of a your daily regimen as showering, shampooing, and brushing your teeth. Most lip balms can be used by men and women, however men prefer matte or no shine, where women prefer a shinier lip balm. Why Should Men Use Lip Balm? If you work outdoors in hot, cold, or sunny climates, you should wear a balm to protect your lips. Studies have shown that men are at a higher risk of getting skin cancer on their lips when not protected. For those who work in an office, unseen environmental factors you confront each day — like too much heat or air conditioning or a lack of humidity — can lead to many of the same outcomes as those who work outdoors. You should also know that if you drink a lot of coffee, your body can easily become dehydrated, leaving your lips in need of lip balm’s hydrating power. When you add the time that you use your lips during the day for normal activities like eating, drinking, and talking, to the amount of time you spend outdoors or in an office with recirculated air, you begin to realize just how frequently your lips are under stress. Using lip balm should be as much a part of a your daily regimen as showering, shampooing, and brushing your teeth. In fact, we recommend finding a good lip balm and using it several times a day, whether the product is delivered by traditional stick, a tube you squeeze, or comes in a tin that you dab your finger into and spread on your lips. Using lip balm multiple times a day is the best way to prevent your lips from becoming dry, chapped, and sore. » Coupled with a reputable lip balm, it is also important for men to have a proper skin care routine to keep their skin hydrated. Learn more about our 7 favorite anti-aging creams for men that actually work. Is Men’s Lip Balm the Same Thing as Women’s Lip Balm? Generally, most of the products listed below can be used by men or women. That said, most women prefer shinier products, while men often prefer matte or no shine. Women also tend to prefer flavored balm, while men tend to want something without flavor or fragrance. Which Lip Balm Is Right for Me? There are numerous balms geared towards men who spend their day in the office, work outside, vacation in the sun, or just want some extra moisture and protection. Given the price range of the products, you can experiment a little until you find the balm that best fits your needs and your budget; doesn’t smell or taste funny to you (or your partner); and contains ingredients that won’t leave your lips worse off than when you started using it. Look for a balm that feels good and fits your lifestyle. Keep in mind that some balms are best suited for everyday use and can be applied several times each day, while others are designed for instances when your lips are particularly damaged. Jack Black Intense Therapy is a powerful lip balm that offers broad-spectrum sun protection while healing dry, cracked lips. It contains antioxidants vitamin E and green tea to provide long-lasting relief. 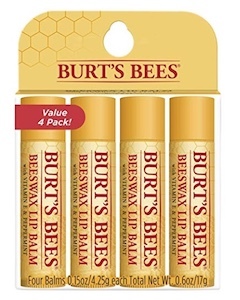 Burt’s Bees uses natural ingredients to nourish and protect dry lips. This lip balm comes in many varieties, and is ethically made. It’s no wonder that it’s consistently one of the most popular and highest-rated lip balms out there. 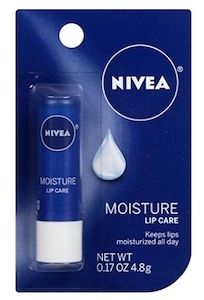 Nivea’s moisturizing lip balm uses a rich formula containing shea butter and jojoba oil to hydrate and protect lips. It’s long-lasting, not glossy, and offers sun protection, making it great for everyday use. This balm moisturizes lips without leaving shine and is highly recommended for men with facial hair.It also has SPF 25 sun protection and freshens breath. Using antioxidants vitamin E and silymarin, Skinceuticals Lip Restorative Repair Treatment rejuvenates lips and prevent environmental damage. This is a great choice for anyone wanting to combat the effects of aging, sun damage, or smoking. One of the best matte lip balms out there, Kiehl’s Moisturizing Lip Balm is great for those who want softer lips without a greasy or shiny look. It has a hydrating formula and a minty fragrance so you’ll get all the benefits with none of the gloss. For extremely dry lips, this thick and creamy lip balm offers an extra level of hydration and protection. While some people love its shea butter formula, others may find it too rich or greasy. Named Men’s Fitness’ Best Performer, Baxter of California lip balm has a light citrus flavor and uses natural oils to soothe dry skin. While it goes on quite shiny, it gets absorbed quickly and leaves your lips looking natural. 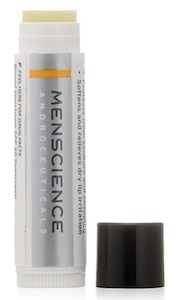 A heavy duty lip balm, MenScience Lip Protection provides everything you need for strong and healthy lips. It protects lips from wind, dryness, and sunburn with SPF 30 – one of the highest for lip balms. A super simple matte lip balm with everything you need, Ernest Lip Protect provides broad-spectrum sun protection without gloss or color. It comes in traditional stick form and is made with all-natural and organic ingredients. The #1 dermatologist recommended lip balm, Aquaphor is specially formulated for sensitive lips and is proven to soothe cracked lips. 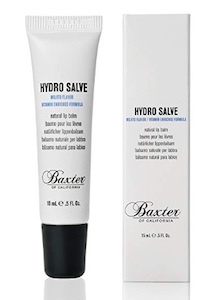 It creates a semi-occlusive barrier to help heal lips and trap in moisture – perfect if you have consistently dry lips. 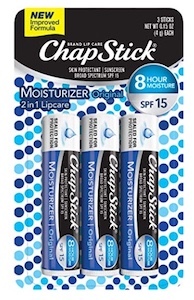 The name-brand of lip balm, Chapstick is a classic choice because it works. It smoothes, softens, and protects lips and is available in a variety of different formulas and flavors. Available almost in almost every grocery store, pharmacy, etc. Hurraw! balm is entirely organic, vegan, and GMO-free. 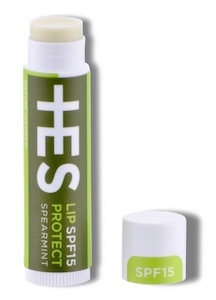 With a matte finish and SPF 15 protection, this is a great choice for a simple and natural lip balm. Using the Vaseline petroleum jelly formula we all know and love, this lip balm provides relief from dry and cracked lips. 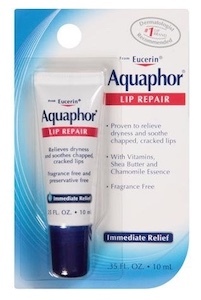 This Advanced Healing edition helps protect your lips from future damage as well. 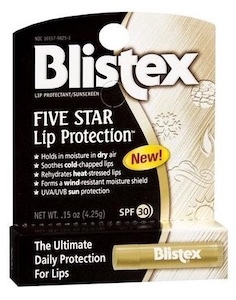 Blistex Lip Protection is non-greasy, flavorless, colorless, and odorless. It is a good no frills choice for people who want a soothing lip balm without giving up sun, heat, and wind protection. 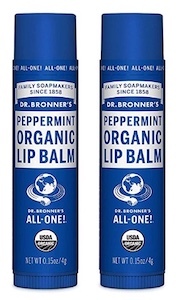 These organic lip balms from Dr. Bronner use jojoba, avocado, and hemp oils to moisturize and protect lips without synthetic ingredients. They come in a 4-pack of three scented and on unscented sticks so you’ll have a variety to try out. Made with pure ingredients including Avenel thermal spring water, white beeswax, and paraffin oil, Eau Thermale lip balm soothes cracked and chapped lips. While it is more expensive than other lip balms, it provides long-lasting protection and recovery so you won’t have to reapply too often. 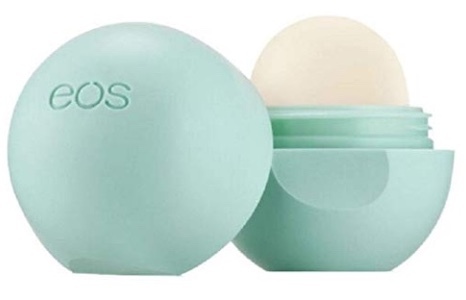 With its distinctive packaging, EOS lip balms have skyrocketed in popularity. These mini lip balms are hypoallergenic and paraben-free but they have been known to irritate those with sensitive skin. Aimed at men, this lip balm uses a high-tech formula containing shea butter, beeswax, and vegetable oil to soothe chapped lips. It has a slight sheen but is not super glossy. This gel lip balm from Malin & Goetz is deeply conditioning and nourishing. It has a thick but non-sticky feel to it and is considered a cult-favorite. Aesop Protective Lip Balm nourishes dry lips while providing UVA and UVB protection for the delicate lips. It hydrates with jojoba oil and is scented with tangerine peel oil. Mentha Lip Balm Stick soothes lips and leaves behind a matte finish. It is infused with peppermint oil that has a cooling and tingling effect on the lips. 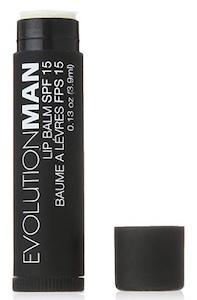 Lip balm that’s meant for men, this balm from Evolution is non-glossy and protects against extreme weather conditions. It uses antioxidants to improve skin health and can even be used to calm razor burn or irritation. 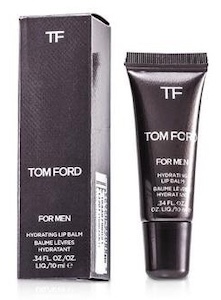 This luxury lip balm from designer Tom Ford leaves lips looking sleek and smooth, but never shiny. Its supple formula is made with natural oils, butters, and vitamins that give it an extra hydration boost. 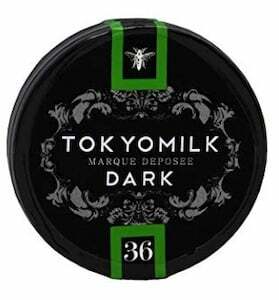 Sultry and sophisticated, this lip balm from Tokyo Milk offers a full sensory experience when hydrating your lips. It is a thick luscious texture with a strong salted caramel flavor that its users love.